Our GLASC meeting for August was held at Subaru of Indiana Automotive, Inc.
Our guest speaker Kevin Beswick from RMS Safety www.rms-safety.com presented the topic of Digging Deeper into Confined Space Classification. The message covered definitions, OSHA interpretations and Letters of Interpretations. Our guest speaker Wayne Flora presented the topic of Fire Safety & Prevention. The message covered many different types of fire extinguishers as well as the different uses for each extinguisher. We watched a brief video covering the information and took a quiz to test our knowledge. We also discussed the regulations on placement in facilities. 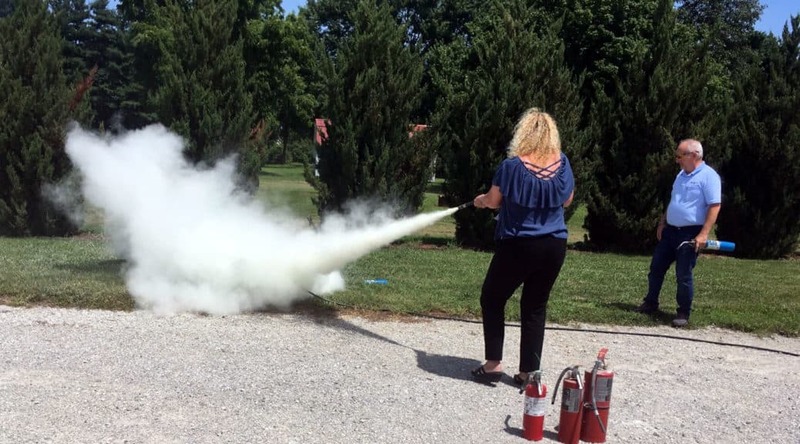 The meeting ended with LIVE fire extinguisher training and HANDS ON extinguishing a fire! Thanks again for speaking Wayne and for allowing GLASC to use your facility for a meeting and live fire extinguisher training! 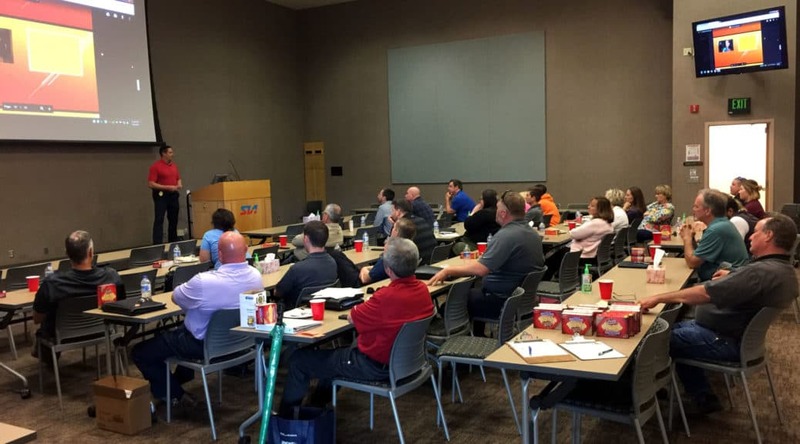 Our GLASC meeting for June was held at Subaru of Indiana Automotive, Inc.
Our guest speaker, Kenny Young from Trinity Safety Group presented the topic of Safety Leadership. 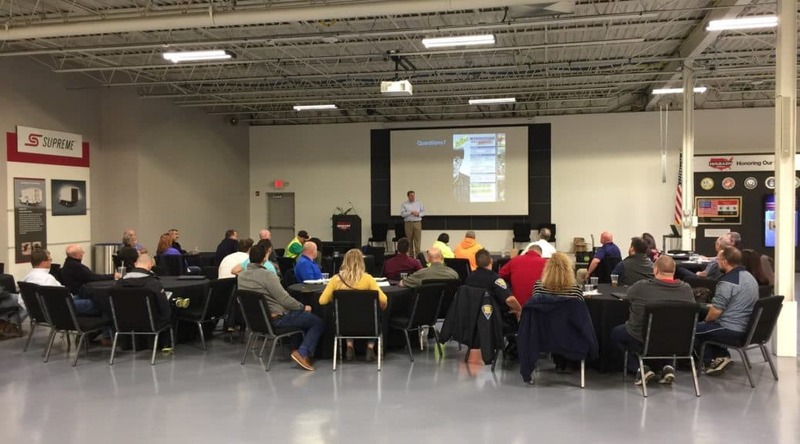 Our GLASC meeting for May was held at Subaru of Indiana Automotive, Inc. Our guest speaker Lt. Scott Galloway of the Lafayette Police Department presented the topic of Situational Awareness. We would like to have your help in selecting this year’s theme for the Safety Expo. 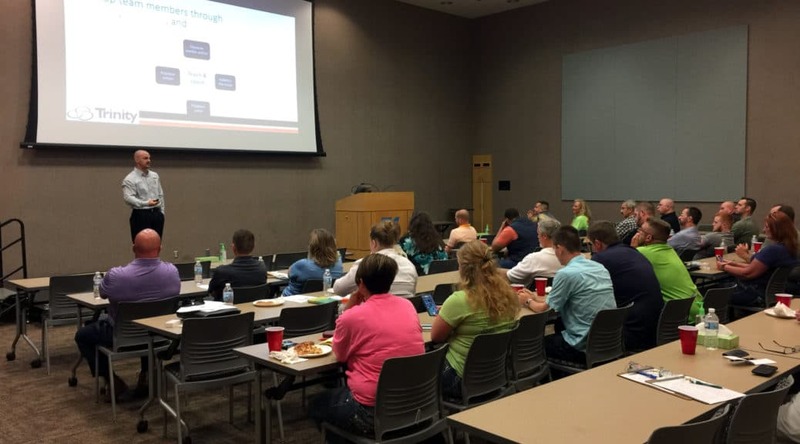 Our GLASC meeting for April was held at the Wabash National – Ehrlich Innovation Center. We had a phenomenal turnout for speaker Ryan Griffin from Marketforce who’s topic was Heat Stress. The message was insightful and informative and left everyone thinking about plans for their facilities as the weather warms and humidity rises. Thanks again for speaking Ryan and to Wabash for allowing us to use your facility.